Hey there friend, I coach with real world knowledge of the audition experience. 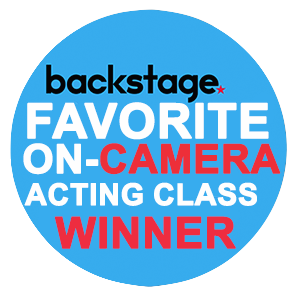 You will gain the confidence to do your best acting in the pressure filled audition room. Like you, I am an actor, I know what goes on in those rooms and at the other end of that self-tape, and I freely share that information with you. We are searching for the truth of who you are in a set of given imaginary circumstances. I teach, I push and I expect results. I am a teacher. A coach. A creator. I love to have fun in the work. EVERYDAY. Email me to schedule a session. FREE Consultation! Congrats! Check Your Email For Your Free Tips! Here I am directing my first film DRIVING FISH. I was going to wear dresses every day. I have since given up directing in dresses but not my love of the story. As an actor and director is our duty to serve the story. The very thing that makes us human. Find me currently working with actors in TAC. Justify the story, do not judge it or change it!